It may very well be true that, in turbulent times, we need the arts more than ever. And we are not talking about the kind of “art” that floods our lives from the demons of commerce. That clatter and noise, the disturbingly repetitive, over-produced slew of loud claptrap that once was the gem of our culture, is collapsing in a sea of dust and chaos. No, we are talking about the jewels of art that can come from a great city and a region of the United States that has world-class music at a fraction of the cost of most major areas of the country. Whether it is community music venues like the Red Poppy, discounted shows at San Francisco Opera, gem-like clubs such as the Sound Room in Oakland, house concerts that are springing up all over the place, or reasonable prices at Yoshi’s East Bay, our area is an affordable banquet of delicious and nourishing performances that reflect a diverse and generous range of art, inspired or directly linked to the world around us. And there are many opportunities to make direct and personal contacts with the performers at these venues. Social media also gives us a great platform to connect with performers, and the artists that are willing to let us participate in their world grant us wonderful insights into it. We are talking about such performers as Warren Wolf, Grace Kelly, Ali Ryerson, Rebecca Kleinmann, the group of wonderful Bay Area jazz vocalists (Pamela Rose, Denise Perrier, Jackie Ryan, Paula West, Tiffany Austin, Sandy Cressman, Kim Nalley and others), Smith Dobson and family, George Brooks, and many more. We are now a click away from offering musicians encouragement, celebrating their achievements, and getting advance notice of shows and recordings. 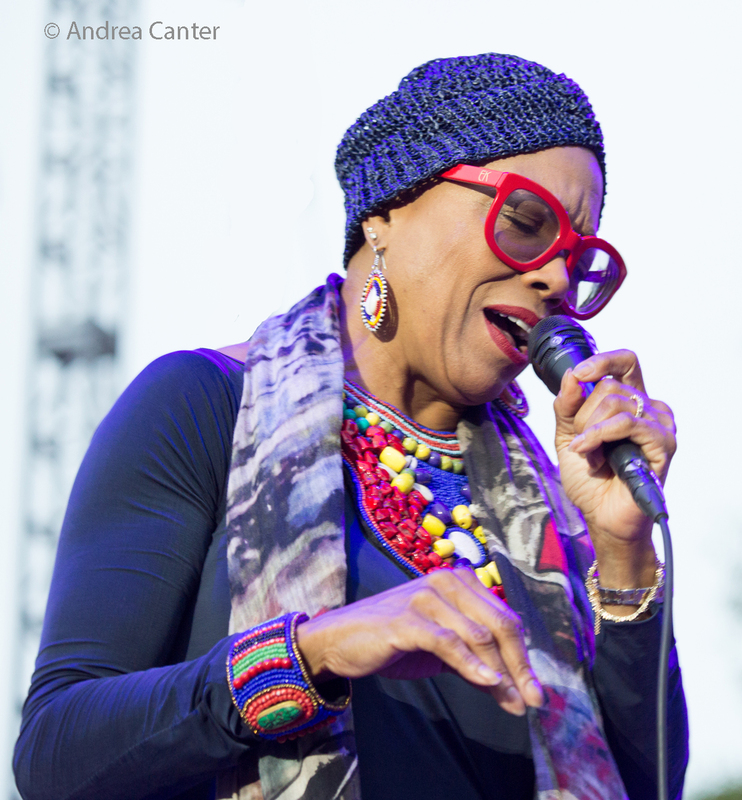 NEA Jazz Master Dee Dee Bridgewater opened the SFJAZZ season in the Miner Auditorium on September 7, revisiting her 1997 Grammy-winning release Dear Ella. Bridgewater has emerged as one of our greatest vocalists and brought a band that included Charlton Johnson, guitar; Carmen Staaf, piano; Tavari Lake, bass; and Adonis Rose, drums. Bridgewater opened the show daringly, with only her and guitarist Charlton on stage. This was significant, because Ella Fitzgerald was always a singer willing to try every opportunity, every format, from sumptuous arrangements, to big band dates, to standing almost alone before a monstrous audience with Joe Pass, and with this setting, putting herself on the edge. Bridgewater then went into a medley of tunes that included “Wave, “Satin Doll,” “Moonlight in Vermont,” and “Cherokee.”  Someone should have explained to the audience how difficult and challenging a duo set is, especially without a very seasoned pianist on stage to provide fuller chords than are possible on the guitar. The singer went on with a version of the classic “Surrey with the Fringe on Top,” the Fitzgerald classic “Mack the Knife” a song that became practically a signature for Ella, and a much more obscure Kurt Weil tune, “This Is New,” the title track on Bridgewater’s marvelous tribute album to Weil. The second set began with “Basin Street Blues” and an impression of Louis Armstrong, one of Fitzgerald’s most endearing singing partners (another unlikely and challenging setting). The show ended with “Stairway to the Stars” and a final, “Cotton Tail.” The show was a great way to start the performance season, and left this writer very hungry for more, more about Ella, more Bridgewater (she did three more concerts at SFJAZZ), and the answer to the question of how Bridgewater has been able to not only create a live singing career, but to record set after set with an absolutely brilliant excitement and verve. For some artists like Bridgewater, recording has reached a pinnacle of both technology and production. And this body of work by Bridgewater is without precedent for a modern day vocalist. One can say that this accomplishment alone puts Bridgewater together with Miles Davis in the category of exceptional discography. 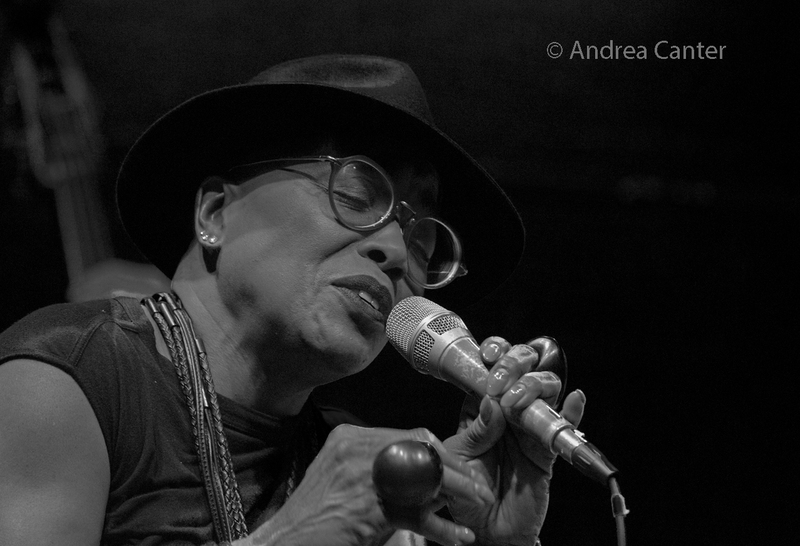 To truly understand the work of this singer, listen to her recordings. They are among the greatest vocal jazz recorded in the last twenty years. Despite all the challenges, this performance season could be one of the best in the Bay Area in many years. Let’s hope the audiences are ready to fully listen to and support the artists and producers who make it happen.